Like sand in an hourglass … Really?? I feel I should be honest before I start reviewing this book, so here goes: I do not like this series. I feel it is a supreme waste of time to read. Luce and Daniel are not only fundamentally under-devloped characters, they have really boring adventures. Their love is, aside from the twist of their curse, is utterly unremarkable. It is the supporting characters who make the series in my eyes, Arriane and Gabbe in their unflinching loyalty and Cam with his tortured past. 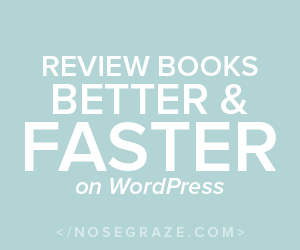 So why am I reviewing Rapture, the last book in the Fallen series, in fact, why did I read it at all? Because Lauren Kate is obviously doing something right – I own and have read all the books in the series, including the collection of short stories, Fallen in Love. Having recounted all that I loathe about the series itself, let’s focus on the positives, as I see them. Firstly, the cover of Rapture is amazing. The epic cover of Fallen set my expectations of the covers of this series, and Torment followed it up well. However the covers of Passion and Fallen in Love are really bad, although in keeping with the themes of the series’ covers. 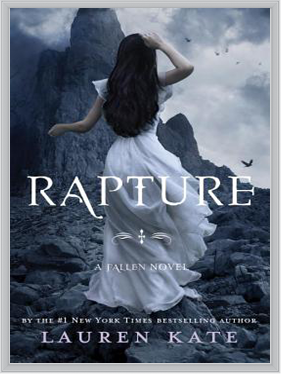 The cover of Rapture is as good as, if not better, than that of Fallen, and I had high hopes when I started reading. I shouldn’t have bothered. After all the big reveals in Passion and with Luce finally having recall of all her past lives, I thought we were beyond hiding things from her (because she is clearly incapable of figuring anything out herself). But no, the first half of the book is filled with cryptic references and unfinished sentences that serve to hide things from Luce. This is incredibly frustrating because Luce is really dim-witted. For much of the book, connections between events or upcoming complications were crystal clear to me, but she is forever saying “It hadn’t occurred to me …”, “I didn’t think about … “. Luce originally had the common sense of a gnat, but I think prolonged exposure to Daniel’s violet gaze has damaged her even further. Rapture is written in a style common to historical adventure novels (think Dan Brown or Andy McDermott), with the strange alliance of angels and demons charged with locating three artefacts that will lead them to the site of the original Fall of the Angels. This aspect of the novel plays out well, and the secret ritual that finally revealed the site of the Fall is very interesting. One of the other things I liked about the book is the epilogue. It was incredibly sweet and lent a sense of closure to the series, which is admittedly the only reason I read the book. I feel that there is also enough material left open for the possibility of a spin-off series or novellas, which would be interesting because I make no secret of the fact that I like the supporting cast a lot more than Luce and Daniel. If you like angel mythology then there are really many better books you could be reading, like Daughter of Smoke and Bone or the Mercy series by Rebecca Lim (the last book of which was also released recently). If you want to give it a try then I sincerely hope you enjoy it more than I did. There are many people who have loved Lauren Kate’s work, but I for one, will not be reading it ever again. I’ve only read the first book in the series and didn’t really enjoy it. Now I can happily avoid the rest!